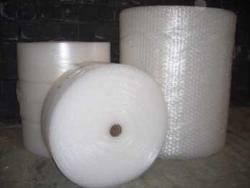 Polyethylene bubble wrap is a staple in storage and shipping logistics. This material can protect all types of items from shock and defects that take place during handling and transport, particularly delicate objects. Bubble wrap in Boston, MA is commonly use as a protective sheath for fragile products that are made of glass, metal, or hard plastic materials. These are prone to dents and breaks when they are accidentally dropped on the ground or during collision with other objects. The bubble wrap serves as a cushion during rough transport items remain intact and safe from shock, vibration, and other surface damage. This material is popular in shipping and storage because it can accommodate all types of shapes. This material has become the standard for all packaging purposes. Bubble bags with adhesive lips can be customized in size and weight. With this protective packaging, businesses can ensure that items and products will arrive to their destinations safe and in one piece. Contact Atlantic Poly Inc., for sizes and pricing on this high quality, transparent protection for fragile items.